Hannah E. Correia will travel to Washington, D.C. this March to meet with members of the United States (U.S.) Congress. 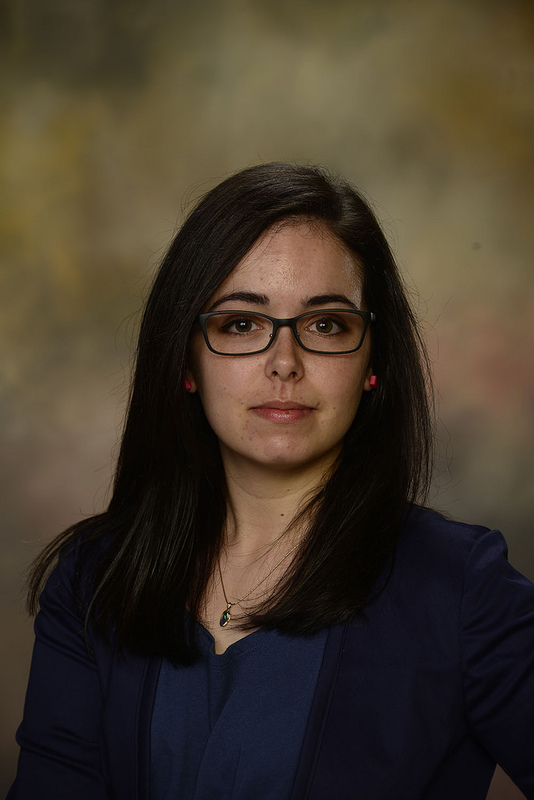 Correia, a Ph.D. candidate at Auburn University's Department of Biological Sciences, is the recipient of the Katherine S. McCarter Graduate Student Policy Award, which will provide her with an unparalleled opportunity to receive policy and communication training before learning about the legislative process and federal science funding. This insight during the Congressional Visit Day organized and sponsored by the Ecological Society of America, the nation’s largest community of professional ecologists, will allow her to discuss the importance of federal funding for biological and ecological sciences. “It is critically important for the public and policy makers to be aware that there are many exciting and equally-important research areas in ecology that do not always involve fieldwork, such as my own field of statistical ecology,” explained Hannah. Hannah was awarded a National Science Foundation (NSF) Graduate Research Fellowship in 2015 and a NSF Graduate Research Opportunities Worldwide funding in 2017 to pursue collaborative research in Norwegian Institute of Nature Research. “My research focuses on the formulation of novel statistical methods to increase accuracy of quantifying causal relationships and creating models to predict potential ecosystem variations,” shared Hannah. Each year she participates in the Masamu Program, a collaborative workshop in southern Africa focusing on advancing mathematical sciences research with students from both the U.S. and Africa. She has gained hands-on research on projects including modeling elephant population dynamics, determining the effects of stigma on the spread of HIV/AIDS, and modeling multiple paternity among clades of animals. “This motivates me to obtain experience in communicating my insights on the significant positive effects federal funding provides to groups who may not necessarily share my enthusiasms and experiences about which I am passionate,” she said. COSAM student Hannah E. Correia is the recipient of the Katherine S. McCarter Graduate Student Policy Award.